Kids stay home from school for many reasons. They may be ill or just have a scheduled holiday off. Whatever the reason that the kids are stuck at home, every parent knows, some fresh coloring pages will help fight the boredom, especially if they cannot go outdoors to play. At Christmas time, printable Christmas coloring pages can really save the day! What could be more fun than downloading fresh new printable Christmas coloring pages! Our templates are always free and customizable. Download your personalized holiday coloring pages today! It is easy to keep the kids entertained for hours. We supply the coloring page, you supply the crayons, markers or paint. This is a perfect way to keep kids busy when they have too much time on their hands. Using and customizing our printable Christmas coloring pages is simple. It is so easy to keep the kids busy with holiday activities. 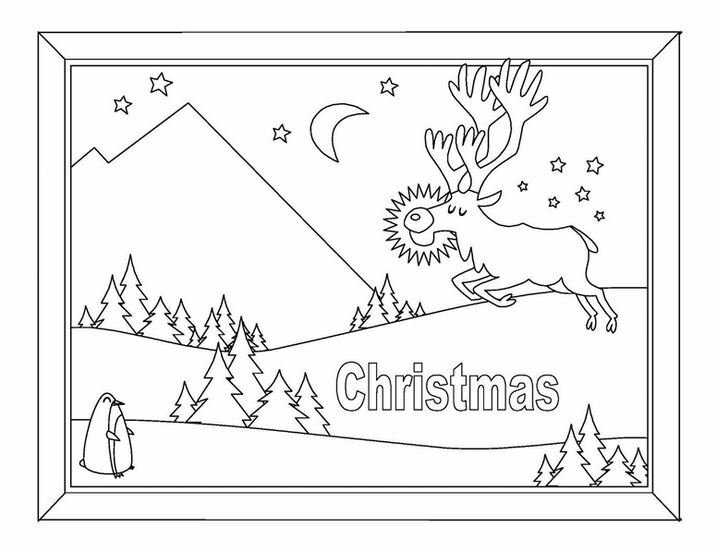 These printable Christmas coloring pages can be used at home or away. They would be great to bring along on a trip, take to grandma’s house, print off on a snow day or just to give them something to do when they are out of school for holiday break. They even make a perfect holiday school card exchange. Let the kids make up their own sayings or greetings for their classmates and teachers. There are many uses for holiday coloring pages. Use them as decorations for your home to display the little artists work. The best part, these are free! Keep kids busy and sparking creativity. Download your printable Christmas coloring pages customized with your child’s name today! Don’t wait for the last minute! Be prepared!